The Chicago Tribune is reporting that Alden network of nursing homes and other facilities often pay a small percentage of fines levied by the State of Illinois for violations of the state regulations for nursing homes. The Tribune investigation found that of a sample of nursing homes that care for disabled children only 21% of fines levied by the State were ultimately paid by the nursing homes. It is important to note when the Illinois Nursing Home Care Act was enacted the Illinois legislature put into place strong protections for nursing home residents. Section 601 of the Act provides that a nursing home resident, or the family or guardian of the resident, may proceed with a civil lawsuit against a nursing home for any intentional or negligent act or omission by the staff at a nursing home. Section 602 of the Act provides that a negligent nursing home is responsible for any actual damages AND the attorney's fees in any case where the nursing home is found liable. The significance of these sections of the Illinois Nursing Home Care Act is that a nursing home residents or their family/guardian are not limited to the disciplinary actions of the State of Illinois. The other option is to pursue a civil claim, which is most commonly referred to as a lawsuit. Due to these provisions in the Act, the lawsuit can be brought by retained an Illinois Nursing Home Abuse and Neglect Attorney. With the representation of the attorney, the nursing home can be pursued and the nursing home could be responsible for any damages they caused and the attorney's fees if the nursing home is found liable by a judge or jury. Illinois Nursing Home Abuse and Neglect Attorney Mike Keating handles nursing home abuse and neglect cases on a contingency fee basis in accordance with the Illinois Rules of Professional Responsibility. This way the nursing home resident or their representatives are not forced to pay any attorney's fees or expenses in advance. Reports of a viral outbreak in a Michigan nursing home illustrates the risk of wide-spread outbreak of viral disease in nursing homes. The risk of wide-spread outbreaks in nursing homes is high for two primary reasons: 1) the density of residents in a relatively small area; and 2) the diminished immune systems of many elderly or disabled residents. These two facts combine to create a "perfect storm" in nursing homes where wide-spread outbreaks of diseases are possible. Illinois nursing homes have a responsibility to provide the highest level of care possible to its residents. This includes providing proper sanitary conditions and utilizing modern sanitation techniques. The risk of many viral diseases can be reduced with simple practices such as the nursing staff washing their hands after handling each residents and using common hand sanitizers. Unfortunately, many staff members in nursing homes do not bother to use these simple techniques and this leads to the spread of disease. A failure such as this is a very simple example of nursing home negligence. The Chicago Tribune is reporting that the owners/operators of Alden Village North are claiming that they have made significant challenges to their often criticized facility. Alden Village North has been the subject of this intense criticism because of reports that thirteen children and young adults have died at the facility since 2000. These thirteen deaths resulted in state citations from the Illinois Department of Public Health for neglect or for failure on the part of the facility to properly and thoroughly investigate the death. Seven of the thirteen deaths occurred after the Alden corporation took over the facility. In addition to the thirteen deaths that resulted in state citations, at least eleven other residents of Alden Village North have died. What is also notable about these instances is that the residents of Alden Village North are often disabled children, not senior citizens as is the case at most nursing homes. Regardless of age, a nursing home is liable in any instance where a resident is harmed as a result of abuse or neglect. Because of their age of disability, the condition of many nursing home residents changes frequently. Many times a nursing home neglects its residents by not timely evaluating their residents and making sure that the necessary changes are made to the Nursing Care Plan. It is the responsibility of the nursing home to make these changes to the Nursing Care Plan so that the changes in condition are addressed. A failure to make these changes can lead to an allegation that the nursing home did not meet the nursing standard of care. The Alden corporation has been the subject of numerous nursing home abuse and neglect lawsuits in Illinois that allege that various Alden nursing homes did not meet the nursing standard of care in their treatment of their residents. Illinois Nursing Home Attorney Mike Keating is currently handling several cases against Alden nursing homes that are based on allegations of nursing home neglect. If you have any questions regarding this post or an issue involving Nursing Home Abuse and Neglect, please contact Illinois Nursing Home Attorney Mike Keating at 312-208-7702 or MKeating@KeatingLegal.com. All initial consultations are confidential and free. CBS Chicago (via the AP) is reporting that the State of Illinois is in the process of revoking the nursing home license of the Columbus Manor Residential Care Home in downtown Chicago. It is reported that Columbus Manor has received several violations involving its residents' safety including attacks among residents and an attempted sexual assault. A hearing set for December 6th on the matter. As explained on this blog, a nursing home is responsible for the health and safety of its residents. Keeping a resident healthy and safe includes keeping them from harm of other residents. This responsibility is a legal duty and when the nursing home breaches that duty it is responsible for the injuries or harm to the resident. If you have any questions regarding this post, please contact Mike Keating at 312-208-7702 or MKeating@KeatingLegal.com. "A failure in a facility to provide adequate medical or personal care or maintenance, which failure results in physical or mental injury to a resident or in the deterioration of a resident's physical or mental condition." This definition of neglect now includes the "willful withholding of, adequate medical care, mental health treatment, psychiatric rehabilitation, personal care, or assistance with activities of daily living that is necessary to avoid physical harm, mental anguish, or mental illness of a resident." The main difference is that neglect now just isn't a failure that results in physical or mental injury, but any "willful withholding" of medical care and treatment or assistance that could result in physical harm, mental anguish, or mental illness of the resident." 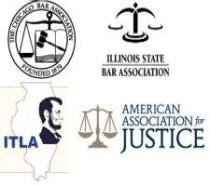 This is a critical change as it allows Illinois nursing home attorney to prosecute cases against nursing homes for neglect when they willfully withhold care, treatment, and assistance. There no longer needs to be a injury. Now there just needs to be a showing of physical harm, mental anguish, or mental illness to demonstrate neglect. Illinois nursing homes should never neglect a resident under any definition. If you or a loved one have been a victim of neglect in an Illinois nursing home, please contact Attorney Mike Keating at MKeating@KeatingLegal.com or 312-208-7702. New IL Law Strengthens the Legal Definition of "Criminal Neglect"
The Illinois Criminal Code's definition of "Criminal Neglect" of a nursing home resident has been amended. The new definition considers "Criminal Neglect" to include a reckless act or failure to perform and act that creates "the substantial likelihood that an elderly person's or person with a disability's life will be endangered, health will be injured, or pre-existing physical or mental condition will deteriorate." Prior to this change the law provided that the elderly or disabled person had to be endangered or harmed. This new change could also penalize a reckless or negligent nursing home staff member for any reckless act or failure that creates a substantial likelihood the the elderly or disabled person would be endangered or harmed. This means that if the elderly or disabled person is put in harms way, under the law this could be viewed with the same severity as actually endangering or harming the person. This change is a part of the same legislation that requires extensive disclosures and reporting by nursing homes that was detailed in the Nursing Home Abuse and Neglect in Illinois blog post you can find by clicking here. If you or a loved one have been the victim of what you think is Criminal Neglect due to poor care in a nursing home, please contact Attorney Mike Keating at 312-208-7702 or MKeating@KeatingLegal.com. On Friday Gov. Quinn signed into law an amendment to the Illinois Nursing Home Care Act. This new law creates Section 3-808.5 which will shine light onto incidents of nursing home abuse and neglect in Illinois by requiring more reporting of incidents by the nursing home and providing information regarding how to report abuse and neglect. To display information in the lobby, on each floor, and in the dining hall information on how to report incidents of fraud, abuse and neglect to the Illinois Medicare Fraud Unit. To provide information at the time of admission to each resident and/or their family members/emergency contacts information on how to reports incidents of fraud, abuse and neglect to the Illinois Medicare Fraud Unit. Owners and Licensees of Nursing Homes are required to keep documentation on their compliance with the new disclosure requirements. Any report of abuse and neglect that is made to the Administrator, Director of Nursing or person with "management authority" (presumably someone like a supervising nurse, Assistant DON, etc.) must be disclosed to the owners and licensee of the nursing home within 24 hours. The nursing home must also keep records of this reporting. All owners of Nursing Homes must disclose their ownership interest to the Illinois Department of Public Health within 30 days of July 30, 2010. Any owner that fails to meet these disclosure requirements could be found guilty of a Misdemeanor, but further failures could result in a Class 4 Felony. Any owner who files false information could be guilty of a Class A Misdemeanor. If you have any questions regarding this post, please contact Attorney Mike Keating at 312-208-7702 or MKeating@KeatingLegal.com. Mike Keating is a former staff attorney for the Judiciary I - Civil Law Committee at the Illinois House of Representatives and currently prosecutes Civil Actions on behalf of nursing home residents and their families.